Exits, Inc. (Export Internet Trading Systems, Inc.) is now a woman-owned business. After 20 years of operation under the company's founders, the new owners are Heather Noggle of the Springfield, MO area and Jayme Untiedt of Parrish, FL, both already working for Exits, Inc.
Brookline Station, MO, February 08, 2018 --(PR.com)-- In early January of 2018, Exits, Inc. (Export Internet Trading Systems, Inc.) changed ownership. After 20 years of operation under the company's founders, the new owners are Heather Noggle of the Springfield, MO area and Jayme Untiedt of Parrish, FL, both already working for Exits, Inc.
Exits, Inc. provides export solutions through the application, Global Wizard, which saves its customer base time and money by streamlining their export compliance and shipment management. 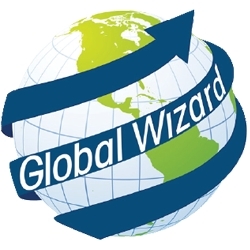 Global Wizard is an adaptable and customizable cloud application which easily integrates with existing enterprises. The solution is available at documentsforexports.com. Long-time Exits, Inc. executive team member and one of the new owners, Heather Noggle, had this to say, "Global Wizard has so much potential. There are incredible areas of opportunity to improve all aspects of the supply chain in the 21st century. We aim to do our part so our customers thrive by modernizing our software and working to speed the delivery of information in all forms." Jayme Untiedt, Exits' other new owner, is no stranger to business. Jayme owns a software engineering company named Cantle Technology Corporation. Cantle Tech services a broad range of industries and has an emphasis in government and technology. She says, "It’s exciting to be able to take a great company and completely renovate how it is able to do business through technology." Exits, Inc. is a woman-owned small business serving customers of all sizes by providing software solutions that streamline export operations. Exits, Inc. provides our customers the means to produce, organize, and disseminate consistent and compliant export documentation and export data. Click here to view the list of recent Press Releases from Exits, Inc.